Qb3 Associate Director Douglas Crawford. Dogpatch is well known as a place for artists and artisans. 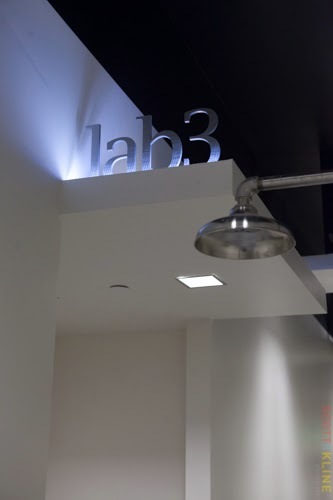 Now alongside the chocolate, messenger bags and craft cocktails the neighborhood has welcomed a different kind of start up -- Qb3 -- an incubator dedicated to nurturing entrepreneurs and their bioscience companies. 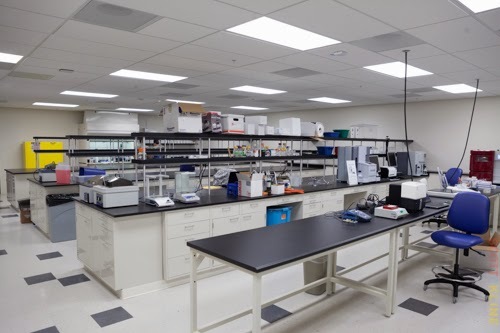 The organization is a joint venture between the three University of California campuses at Berkeley, San Francisco and Santa Cruz and this spot on Indiana street is its third bioscience incubator. The nondescript -- and most might say decrepit -- warehouse building on Indiana street has been transformed into a low-slung, modern facility -- its grey exterior blending smartly with the blue neon sign spelling out its name and address: qb3@953. The 24,000 square foot facility, which opened in October, offers both office space and lab space. 16 companies out of the 35 available slots have already unpacked their test tubes and set up shop. 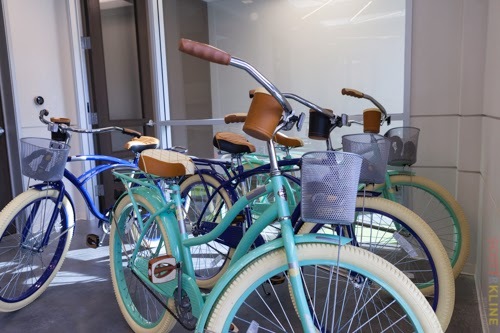 When we visited, colorful cruiser bikes awaiting their riders gave the lobby the feeling of a Google campus. Doug Crawford, associate director of QB3, gave us a tour and was bursting with pride as he showed off the facility and its equipment. Qb3 features a bike sharing program for its startups for tooling around Dogpatch. 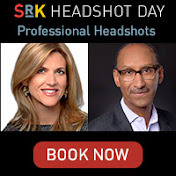 I love working with start ups and especially with teams that have a common goal. At QB3 we can be part of helping an idea become something of value to society. We have folks here working on all sorts of projects -- from cancer to Alzheimer's. We want to reach out to the grad student or someone in the Life Sciences who has a great idea but needs access to very expensive and specialized equipment. In traditional high technology, you can often just go to your local coffee shop or to your garage, open your laptop and you are in business. But that environment doesn't work so well when you need to look at cells and viruses -- you can't bring microscopes or chemicals into a coffee shop or home office. This makes it harder in bioscience to go from idea to prototype. All the equipment and supplies from tape to microscopes are offered a la carte so the entrepreneurs only need to pay for what they actually use. We want to help them be as efficient as the big companies who have lots of funding. For example, we have a freezer that costs $15,000 but our start ups can rent 1/2 shelf instead of having to buy the entire freezer. Qb3 in Dogpatch rents out lab space as needed by start ups, as many as 35 different biotech startups at once. It is often a long and lonely road when you are starting a company so the opportunity to ask other entrepreneurs for feedback or to brainstorm is invaluable. 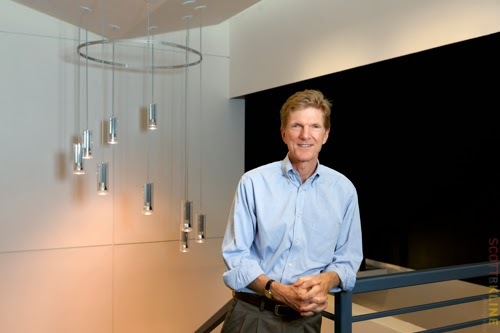 We also want to keep these companies in California if possible so QB3 also operates an $11 million seed-stage venture fund called Mission Bay Capital -- an independent venture firm focused on making early-stage investments in bioscience companies. I'm the managing director of the fund. We can invest up to $200,000 in qualified start ups. 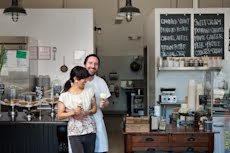 Qb3 is all about what Dogpatch is about: passion, willingness and fortitude. I would be in a start up! I used to be a professional sailor and sailing is all about teams, about a common purpose and that is what I get excited about.